A lot of the travel I’m interested in is based from miles. I don’t spend as much money as others, and that’s why this hobby is so gratifying for me. I can travel (and laugh) while others who are not willing to spend just a small amount of time learning about travel hacking and end up paying $1,500 for a economy class flight to Sydney during peak season. For both Canadians and Americans, most of you should all have credit cards. As of right now, especially for Canadians, credit cards will be the major source of miles, as airfares are skyhigh in Canada, unlike in the US, where mileage running is more feasible. For those living near the border (me included), you can always drive down to the States to run from somewhere like Seattle, but again, that is complex and most likely more effort than applying for credit cards (if you have the capability). There are types of credit cards, but there are only rewards cards are worth mentioning. I’m sure most people cashback cards give nowhere near the return of frequent flyer mile credit cards or even travel rewards card. In this post, I’m going to talk about the “fixed-value” credit card rewards. This is one type of credit card mile. The other type, is the transferable credit card mile, which is what you should be collecting. If you don’t, pay attention to this series! What are fixed value miles? These are basically miles that you can apply towards travel as cash, or convert to other as merchandise, gift cards, and even cash. I’m surprised that so many Canadians carry cashback/non-frequent flyer travel reward cards. To be honest, I actually didn’t mind fixed-value rewards that much. But now that I’m actually bothering to write a post about it, I’m a little disappointed at myself for actually believing the bombardment of advertising that illustrate how “points that can be applied towards travel” is such a ripoff. What would I redeem these for? Simple round-trip economy class domestic flying in Canada. Maybe. Which is what most Canadian Reward Credit Card holders use their points for. But here is why I don’t consider them such a great value. Thus, excluding category bonuses (as both cashback/flexible travel and frequent flyer mile credit cards have them) your points are around 1 cent per miles (cpm), and you earn anywhere from 1.25 to 2 points per dollar spent on regular purchases. If we take each point as worth as 1 cpm, and you earn 2 cents per point per purchase, you need to spend around 28,000 dollars to get enough flexible travel rewards for the ticket, excluding the 4,500 redeemable AA miles that you earn by flying a non-award ticket. But if we look an award ticket, the cost is 25,000 miles (which you would only need $25,000 of credit card spending on), with $161.18 in fees which includes $54 in fuel surcharges. If you don’t actually pay attention to the numbers, the price is about the same, but if you work out everything else you’d miss out on by flying on an award ticket, using frequent flyer miles will actually be a bit more expensive. But this is only considering you find tickets at the lowest price bucket and that you don’t have elite status, giving you a larger baggage allowance, lounge access, and other perks like preferred seating. Furthermore, this is only considering you fly direct to your destination. If you throw in another stopover in your domestic itinerary, such as adding a Disneyland Stop at MCO, the value of your redemption rises greatly and shifts the balance towards redeeming airline miles (especially if you’ve managed to get a UA/US flight with fuel surcharges). You can see how much money you need to spend to achieve a ticket of a certain cost. And in the situation above, I took the best scenario, where only 30,000 in spending was required. Even if you had a two destinations on an award ticket, there is no way where the spend required on a cashback credit card would be less than the fixed number of miles for a AeroPlan or other frequent flyer redemption. Of course, there is give and take. You might not find availability with the flights or dates you want, but that’s an issue of planning correctly. 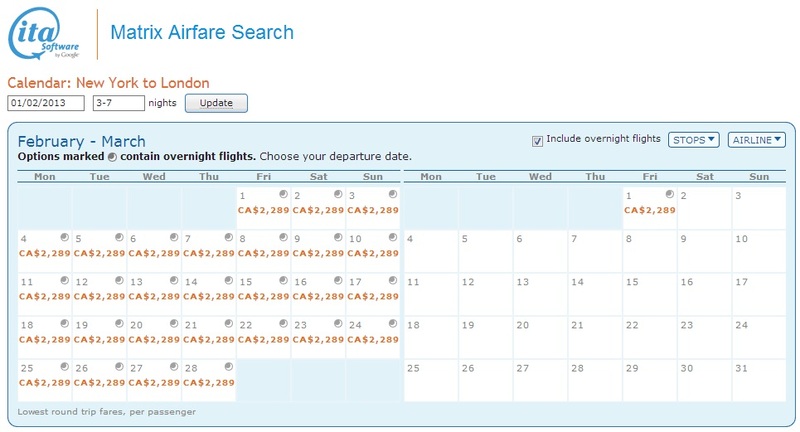 If you decide to book 14 days in advance before Christmas, you’re neither going to find award space or revenue seats at a non-iwanttoclawmyeyesout price. So why might you bother collecting fixed-value miles? For me, I personally like the travel miles that you can turn into cash. Since they’re worthless, I might as use them to pay my annual credit card fees for my other travel rewards cards. But furthermore, for those who do rack up large amounts in spend, there are some options worth considering. That was a crazy fare sale. This is a possible itinerary from the a fare sale for coinciding with the Olympics, I believe. 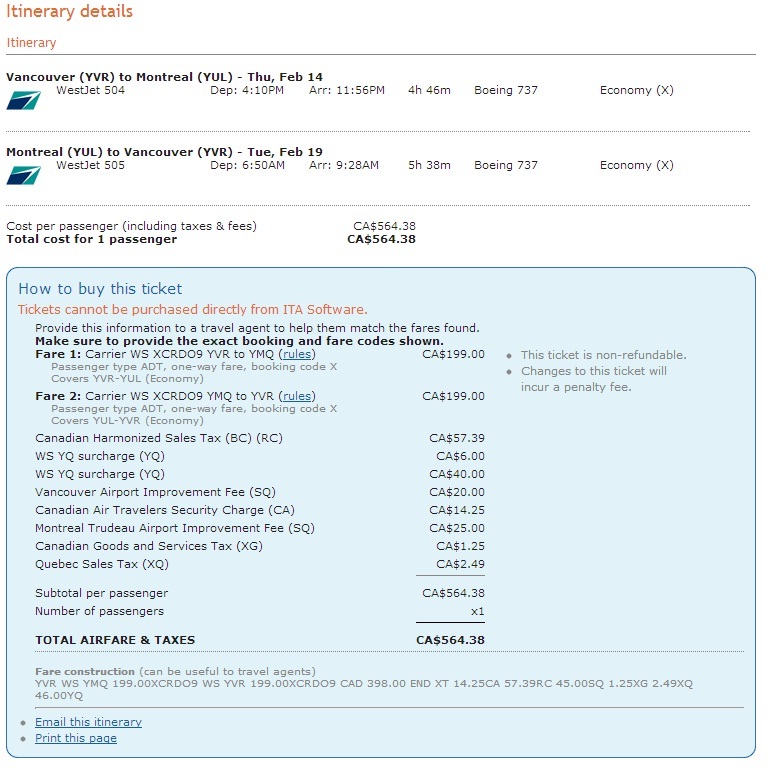 Similar fares were available from similar Eastern Canada gateways (YYZ. YUL) for a similar price and from the west coast (YVR) it was about 2,000 dollars. At 1 cpm, that means you would need around 160,000 miles or 80,000 dollars in spending with 2 points/$ spending. That’s excluding any redeemable/elite qualifying miles that you would receive. That means, if you did have 160,000 points lying around, this is where I would use them, because the cheapest business class flights with mileage currencies without fuel surcharges would be with 90k Aeroplan points, excluding any potential fuel surcharges, airport taxes, and other booking fees (if you want two stopovers in addition to your destination you need to phone the call center). That’s 90,000 dollars in spending, which is more than using a fixed-value rewards and neglecting any elite qualifying miles/redeemable miles that you might accrue. Furthermore, you can get carriers which do charge hundreds of dollars in fuel surcharges even with the mileage redemption. And I’d rather fly Virgin Atlantic more that Lufthansa, United, or even Swiss. Unfortunately fare sales like that are perhaps only once or twice a year, so that means purchasing a ticket right now would be around 2300 dollars, if not more. That would mean a tonne more miles. This definitely takes the award for worst redemption ever. I could have gotten 5 round-trip first class tickets for these! But if you keep your heads up, that means you can get something that’s worth a lot of money for very little. Furthermore, it’s much easier to collect. I don’t get it actually – the banks are so stingy with handing out these “flexible rewards” because it feels like cash, takes like cash, and then so must be cash, right? But with frequent flyer miles, they aren’t even money! Who doesn’t want free 15,000 miles with a credit card signup with fees waived? And this is only in Canada. I want a 100,000k BA Avios credit card in Canada! So why is Gary wrong? Because even for those who do travel a lot domestically (I’m thinking Mommy Points), you’d probably get more than enough points from taking advantage of huge signup bonuses in the States (and even here!). Stay tuned for my next post in this series! I will likely be talking about more miles (that’s a given, haha). Remember to subscribe to my mailing list or check out my Twitter for more informative posts! I know very few people who redeem Aeroplan miles, but I do know several that have RBC Avion cards and transfer to BA. I think Amex cards in my area are used only for Costco, so nobody wants to get a Gold or SPG, because they already have the Costo Amex. And then the rest either have a travel points card or a cash back card, or (gag, cough, spit) still use cash for most purchases. Oops, typo there! Thank you for pointing this out; I have edited the post. I meant to say that you would need 28,000 dollars in spending on the flexible reward credit card to get enough miles for the roundtrip from Vancouver to Montreal. However, you would only need 25,000 dollars in spending with a FF program credit card to get the same ticket, excluding category bonuses from both cards.